SAN JOSE, Calif. (KGO) -- Hospital officials said the condition of a baby boy who survived as his pregnant mother died hours after a highway crash Wednesday morning in San Jose has improved. The boy's condition was upgraded today at Santa Clara Valley Medical Center to serious from critical, the medical center's spokeswoman Joy Alexiou said. Mother Dulce Capetillo Hernandez, 18, of San Jose, was a passenger in a 1998 Honda Civic involved in a crash on northbound state Highway 101 south of Tully Road that California Highway Patrol officers responded to around 1:50 a.m., CHP officials said. A 20-year-old San Jose man driving the Honda let the vehicle go off the road and crash into the back of a 2002 BMW 745i parked on the shoulder, leaving both cars with major damage. Initially, Capetillo Hernandez and the driver of the Honda as well as the BMW driver were transported to hospitals for minor injuries, according to the CHP. Capetillo Hernandez was transported to Santa Clara Valley Medical Center for leg pain. She underwent an operation for traumatic injuries to her torso and was pronounced dead around 5:30 a.m., according to the CHP. Capetillo Hernandez's aunt Yesenia Ortiz has created a GoFundMe page to raise money for the young woman's funeral. The woman was seven months pregnant when she died, leaving behind her son, according to Ortiz. The fundraiser has raised $11,830 of its $25,000 goal. Capetillo Hernandez, who was also known as "Dimplezz," posted on her Facebook page that she was a "Mommy to be" and that she attended Independence High School in East San Jose. The Honda driver also had leg pain and was taken to Regional Medical Center of San Jose. 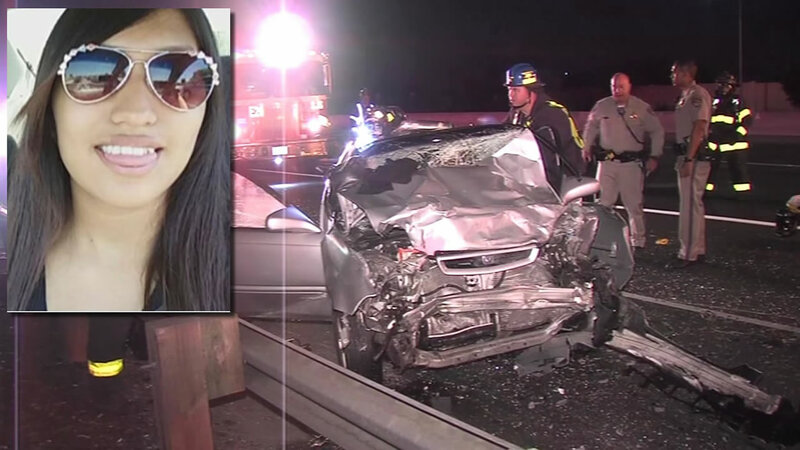 The BMW driver, later identified as 22-year-old Hung Tran, was also taken to the same hospital for a complaint of pain and later arrested on suspicion of DUI, CHP officials said. Investigators don't suspect the Honda's driver was driving while intoxicated.